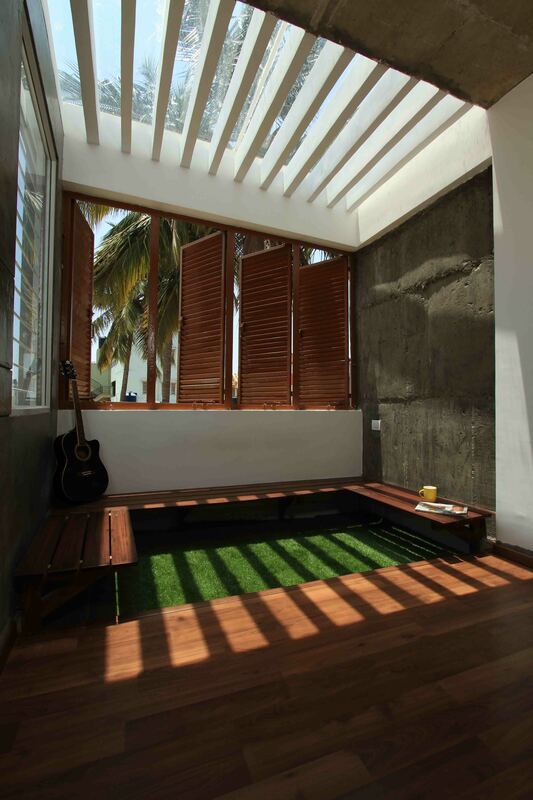 Priyanka Shekhar Apartment at Bangalore by Five elements Architects - ArchitectureLive! 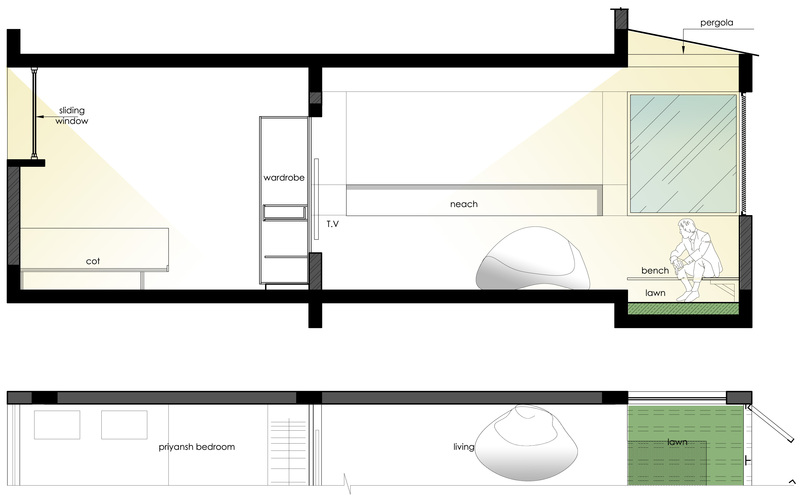 The Priyanka-Shekhar apartment is 3-way skylighted ( for hall, kitchen and toilet). Flat facing towards east, a wide opening is given on that side which can either be louvered or fully opened. 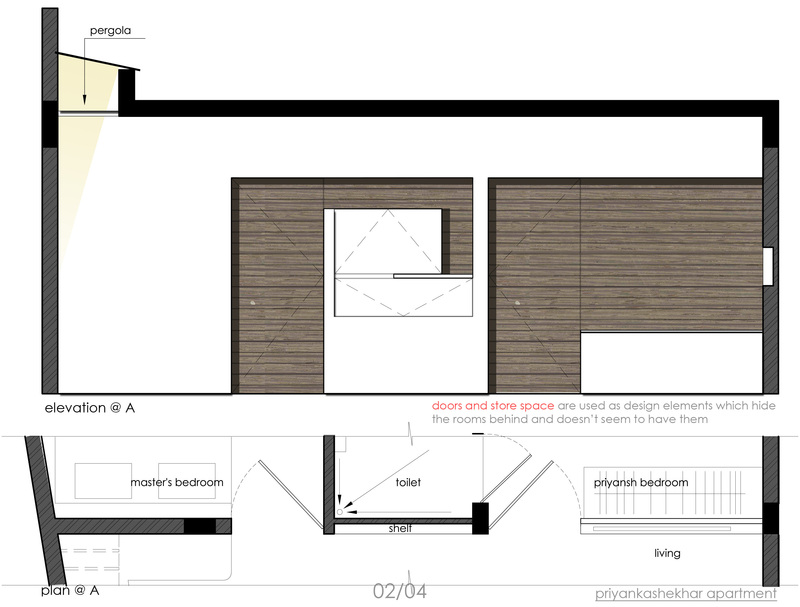 The bedrooms are ventilated at higher sill levels of 5-feet so that only diffused light is permitted with privacy and the sill wall would be more functional. One of the bedrooms and The hall doesn’t have wall partition, so T.V. unit is inserted in-between with support of wooden panel. This arrangement is more efficiently utilized regarding space utilization. A U-shape bench is designed in the hall area to chit-chat and feel the natural ambience. 4’6”x4’4” size toilet has a sky light at one side and 7’ mirror panelling on the other side glows the toilet throughout the day. This type of skylight and ventilation glows and blows the flat throughout the day naturally. 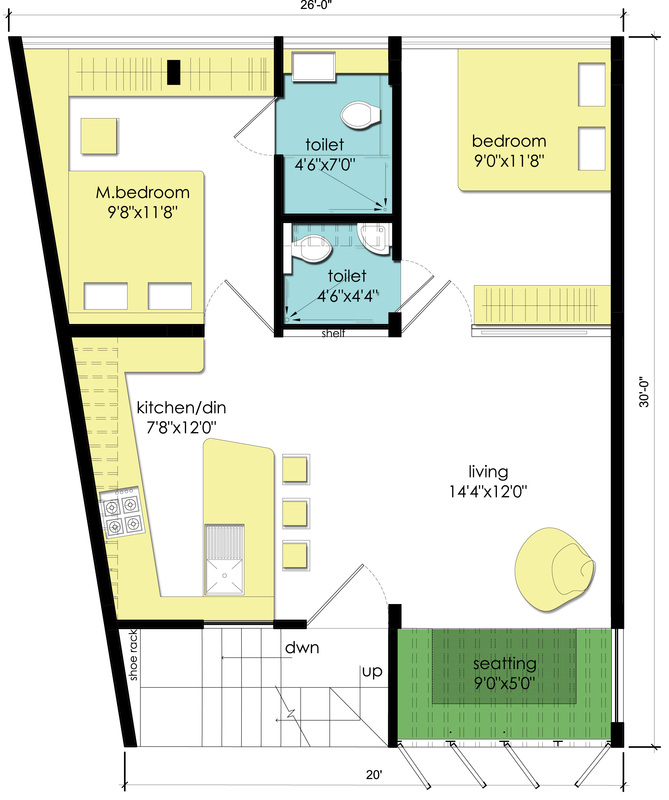 This results lesser consumption of electricity and a natural feel to live in this apartment. 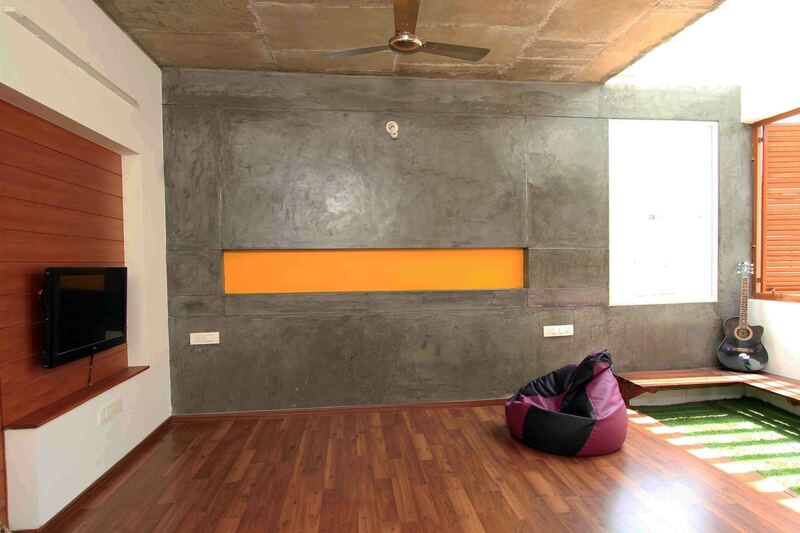 Materials used like Yellow lacquered-glass, white solid acrylic surface, vitrified tiles, wooden panels, wooden tiles, cement sullary, putty walls, grass mat are in perfect contrast with harmony which pleases one’s mind not to leave the apartment.